Although Diablo 3 is still just under a week away we have a special build for you guys courtesy of www.diablo3hero.com ( Try it out, they have a 60 day full refund! )that should set you off on the right track if you are going to be playing the Wizard on the 15th May 2012. 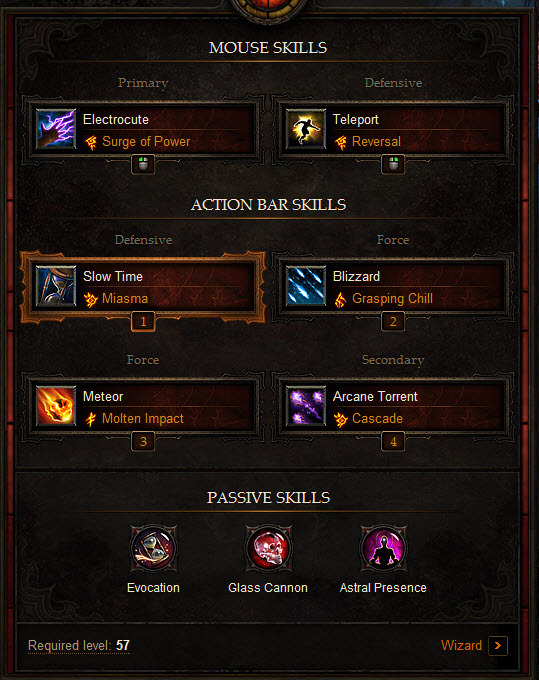 Of course for complete leveling guides, strategy guide and a full set of builds for the game head over to Diablo 3 Hero’s site and you will be able to get the guide at a special pre-launch price before the game is launched. The Wizard in Diablo 3 is one of the best DPS classes in the game and can reek a huge amount of damage very quickly. Basically although it has HIGH damage it does not have that much defence so the key is to blast your enemies with attacks before they get close to you! One set of skills that the Wizard does have is some awesome AoE skills which means “Area of Effect” and they are able to take on a lot of enemies at once.